Product #20869 | SKU SALS40 | 0.0 (no ratings yet) Thanks for your rating! A lightweight telescoping speaker stand with a tripod base. 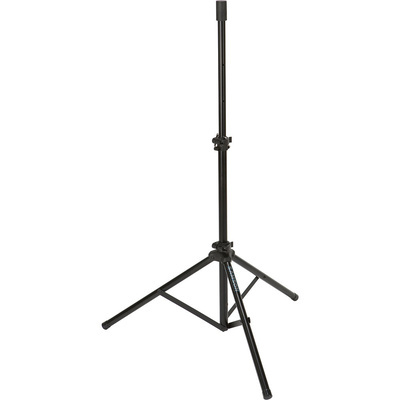 The Samson LS40 Lightweight Speaker Stand is a lightweight telescoping speaker stand with a tripod base. The stand features a rugged steel construction, and a sleek black finish. With a standard 1 3/8-inch pole adapter, the LS40 fits most PA speakers. With its safety locking latch, it is adjustable for up to 4.5' in height, and can handle enclosures that weigh up to 55 pounds. The LS40 is ideal for use with Samson Expedition Portable PAs (Escape, Express, XP106 and XP106w).